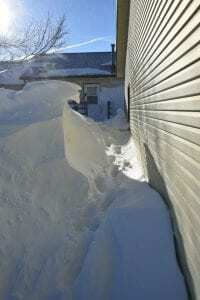 Drifts reaching rooftops, blocking roads and doorways, burying cars and cows resulted from the accumulation of snow as waves of winter storms brought life to halting stops and sputtering restarts over the past few months. In the latest storm, called Ulmer, snow was redistributed by strong winds, and the thawing and freezing temperature variations have made keeping up with the weather a challenge for local communities. 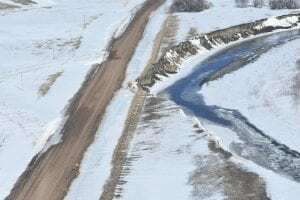 The midwest region faces extensive flooding damage now — particularly in Nebraska — and here on Cheyenne River, local officials are already assessing potential flooding damage as mounds of snow and ice disintegrate under the warming temperatures. “With the recent snowfalls, we are anticipating that the Moreau and Cheyenne Rivers will see flooding. We are hoping to get ahead of it,” said CRST Intergovernmental Affairs Coordinator Remi Beautiful Bald Eagle. The tribe is working to clear up debris in areas along bridges and in front of culverts that could cause ice jams. “We are working with outside agencies to obtain necessary equipment and additional funds. We’ve talked with federal and state agencies,” Beautiful Bald Eagle said. Jamie Ducheneaux of DX Bait Shop said the storms caused many days of closures and the latest storm completely closed the access road to the bait shop. 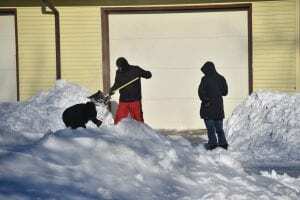 Ducheneaux said rather than wait for a plow, he and another person began digging themselves out using shovels. 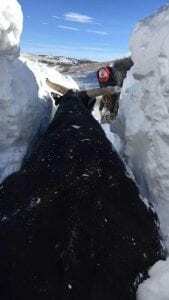 They dug about 1800 ft of snow before they were able to use a snow blower. Ducheneaux’s bait shop revenue was negatively impacted by the storm-induced closure, and he is now searching for ways to make up for that loss. One way he is doing this is by offering guided fishing tours, providing fishers a chance to “come as they are” with Ducheneaux offering all fishing essentials for an enjoyable and relaxing ice fishing experience. Residents of Bear Creek gathered to clear the road to Highway 212 with shovels on March 14 because plows had not yet made it down their road. Across the reservation, people bundled up and resorted to manpower, often gathering in small or large groups to help each other emerge from the warmth of their homes into the crisp and cold but sunny conditions once the winds died down and the snow began to melt. That melting snow is exposing the damage the temperature variations have had on our roadways throughout the state. Potholes are making driving in Eagle Butte, Pierre and Sioux Falls more like an obstacle course for rough terrain vehicles than a road for commuting. 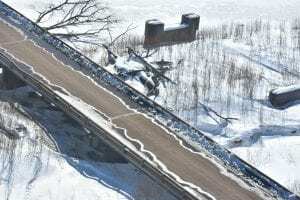 Depending on the extent of damage, the state may eventually request a Presidential Disaster Declaration asking for federal funds to aid recovery. Three Mile Creek Rodeo Company in Kyle, SD hand shovels their stock out of the snow drifts.